Evidence suggests Hisham Saadi had an economics exam on March 1, 2017, the same day three buildings at Concordia University’s downtown campus were evacuated after the security department and media outlets received a bomb threat by email. 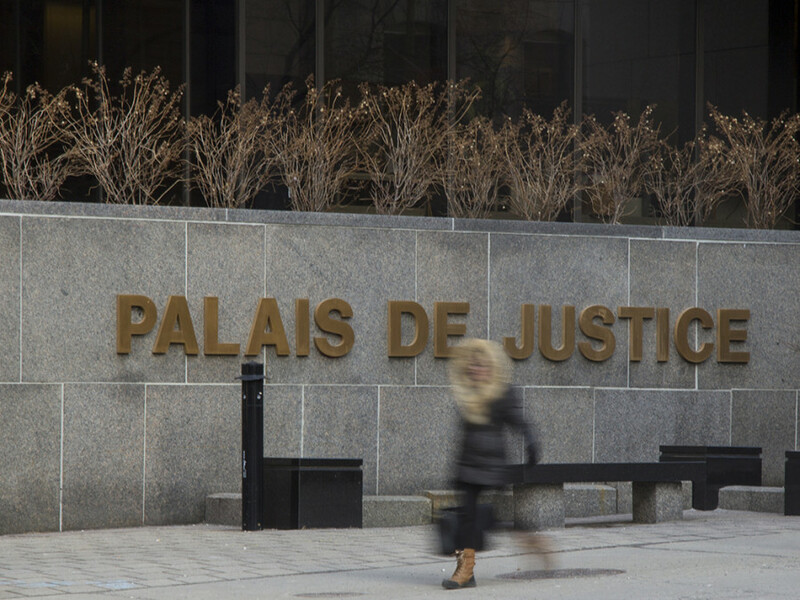 The 48-year-old suspected in connection with the threat appeared at the Palais de Justice this morning. Saadi, who was a PhD student at Concordia at the time, is charged with mischief, uttering threats, and inciting fear of a terrorist-related attack. Montreal police detectives and officers testified, giving a rundown of the day of the bomb hoax, describing police operations and digital evidence collected. Data found on Saadi’s laptop, seized from his apartment, suggests he spent time drafting the bomb hoax letter late into the night prior to the email delivery. Then an internet search was conducted on how to send emails anonymously and if emails could be traced back to the laptop. Analysis of the hard drive of the seized laptop showed that a series of drafts—up to 18—were created between Feb. 28 until 2 a.m. on March 1, in French and English. Links to websites displaying graphics found on the letter were also in the laptop’s browser history. Investigators also said that Microsoft Paint was used to modify some illustrations. Between 9:42 and 9:43 a.m., emails were sent from the laptop. At 9:50, the browser history showed that it had received automatic emergency replies from Concordia. Twenty minutes later, a number of Google searches were done along the lines of finding out whether IP addresses could be traced from emails. The email “hisham_saadi@hotmail.com” was also found in the laptop’s history. In the courtroom, Montreal police showed security footage of Saadi, wearing a thick, dark-striped sweater at the Tim Hortons at the corner of Guy Street and De Maisonneuve Boulevard, the morning of the bomb threat. 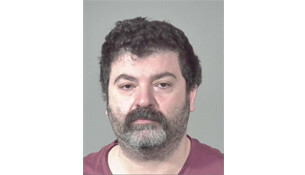 The IP address tied to the email carrying the letter was traced to the Tim Hortons’ WiFi connection at 9:42 a.m., around the same time Saadi was seen on camera at the location. The letter threatened to detonate small artisanal bombs on floors where Muslim students held their prayers or hung out. “Until Concordia University stops religious activities of all kinds on campus, we decide the following action to show how far we are ready to go to fight Moslems [sic],” the letter reads. The message was also sent to McGill University’s security department. Montreal police searched both of Concordia’s campuses and McGill, following the evacuation of the Hall, EV and GM buildings. SPVM investigators traced the IP address of the email to a Côte-des-Neiges apartment on Darlington Ave. near Goyer St., as well as the name of the leaseholder of the apartment. The man on the lease was another Concordia student who had an exam at 6 p.m. on March 1. Montreal police waited for him to show up to class before arresting him. The student told police that he was subletting the fully furnished, internet-inclusive bachelor’s apartment to Saadi, and was later released. The police then got a search warrant and got their tactical unit to evacuate the apartment building in case there were explosives in Saadi’s apartment. Saadi was arrested on March 2 at 12:05 a.m. He said he was woken up from the SPVM’s tactical unit knocking on his door. Police said they were still evacuating an adjacent apartment. Shirtless, he was taken to a squad car wearing only what officers described as bathing suit-like shorts and a pair of Crocs. Officers said he looked surprised but cooperative. He told them he had never been arrested before. When they took Saadi to the western operational centre, they handed him a white coverall. In the interrogation video, he said he never had the chance to dress himself. Officers, while being cross-examined by defense lawyer Caroline Braun, said he never said he was cold. The police interrogator told him they were going to bring him clothing from his apartment soon. An hour into the questioning, Saadi asked if he was going to get some clothes. The interrogator assured him that they were coming. “This is a bit scandalous,” Saadi said in the tape, gesturing at his clothing situation. The police interrogator told Saadi at the start of the session that he had no obligation to answer police questions. He also told Saadi that the police were not allowed to threaten or intimidate him should he choose to stay silent. At this point, Saadi said he already spoke to a lawyer over the phone. While questioned, Saadi revealed an array of information about his life and whereabouts during the 48 hours leading to his arrest. He even shared information about his past, his home region in Lebanon, school career, class schedule, student ID, his opinion on Middle Eastern politics, his personal beliefs, among other things. Aside from clothing, he also wanted his medication. He had missed his dose in the evening because he dozed off on his couch before his arrest. Saadi told the interrogator he was taking medication for cholesterol, hypertension, depression, and anti-psychotics. The day before his exam and the bomb hoax he’s accused of, he said he’d been studying at home until 4 a.m. He had only slept for a handful of hours before heading to Tim Hortons on Guy Street across from the GM and EV buildings. His trial will resume Tuesday morning at 9 a.m.